The new Dodge Charger is a popular mid-size sedan that offers you many features that make it stand out in the crowd. In addition to being a powerful muscle car, the Dodge Charger is designed with your comfort in mind. Stop at Miller's Chrysler Dodge Jeep Ram and check out the new Charger. Allow us to show you its many unique features. The RAM 1500 is a powerful and well-appointed full-size pickup truck. 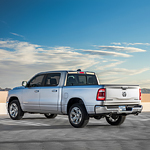 The RAM 1500 offers drivers and passengers a number of outstanding features that improve their capabilities. Among many others, these features include best in class motors and tough transmissions. The RAM 1500 motor comes in two power-packed sizes. The smaller engine boasts a 3.6L, V-6 motor that offers up to 305 hp as well as a tow-boosting 259 foot-pounds of torque. If you want a vehicle that delivers top-level performance, the Chrysler Pacifica is a popular family minivan that is sure to not leave you disappointed. With its high-quality performance features and easy handling, you’ll have no trouble driving to and from locations in Martinsburg. 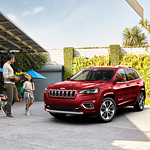 Have you seen the all new 2019 Jeep Cherokee? This compact SUV has always been well known for its superior styling, dramatic lines, and famous grill design. However, some of the designs are new this year with new looks for an all black grill, as well as premium alloy wheels. The aerodynamic curves in this latest Jeep Cherokee will make you look twice at this SUV, which has a tendency to turn heads on the road. 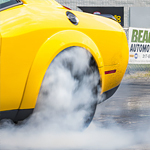 Proper maintenance is an important part of vehicle ownership and making sure you have the right tires for your car, truck or SUV is a huge part of that. 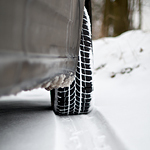 We at Miller's Chrysler Dodge Jeep Ram frequently get questions about whether owners should opt for winter tires or stick with all season products when the cold weather hits here in Martinsburg. Here are a few tips to help you make the right choice. 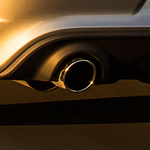 From time to time, you may have heard about a vehicle recall on the news. Perhaps your car is one of the models being recalled. While the process is fairly straightforward, you might still have some questions. The all-new 2019 Dodge Challenger sets the bar higher and higher with a new engine lineup and outstanding technology features. One of the latest changes has been to the infotainment system, which can connect to Apple CarPlay and Android Auto. There are also new hands-free and voice-activated options that make your driving experience easier and more connected as well. There is an all-new 7-inch touch-screen included standard, as well as Bluetooth, two USB ports, and six surround sound speakers. 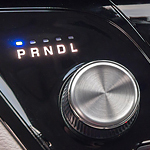 There are also dual-zone automatic climate control and push-button start features. Starting at $28,996, the Dodge Durango is a mid-size SUV that is a popular choice among consumers at Miller's Chrysler Dodge Jeep Ram in Martinsburg. 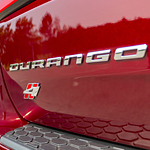 The Durango is offered in seven trims and comes equipped with a number of features. With this model, the exterior features provide you with styling and capability. Let's check out its exterior features below. When it comes to buying a great truck, it's important to look for something that can handle your hauling and towing needs. 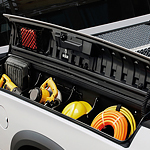 The Ram 2500 offers many benefits. From its stylish exterior to its comfortable interior, it's designed to give you the ride you've been searching for. Best of all? It comes with some unbeatable capability features. Are you determined to find a vehicle that can drive on any surface but that still offers you special interior features? If you are, you might appreciate the popular Jeep Wrangler. This Jeep is a popular choice for those looking for an off-road capable SUV, and it is made with an excellent interior.